We have released the IP PBX (corporate telephony service) module recently, which provides TeamWox users with voice communication. Now you can arrange PBX (Private Branch eXchange) for handling internal and external phone calls. It is as easy and convenient, as working with other TeamWox features. You will be able to implement an intelligent call forwarding, add an interactive voice menu or arrange a secure audioconference with unlimited number of participants. TeamWox supports all these and other functions of the corporate IP PBX systems. You do not need much to take full advantage of TeamWox telephony. You do not need special knowledge in information and telecommunication technologies to arrange your VoIP PBX Phone System. You just need to take some time for a simple Telephony module setup on TeamWox server. After that, any user of the system will be able to make and receive phone calls without any additional workplace configuration. The internal voice communication will be available immediately after the Telephony module implementation. Company members will be able to use TeamWox Communicator corporate instant messenger. 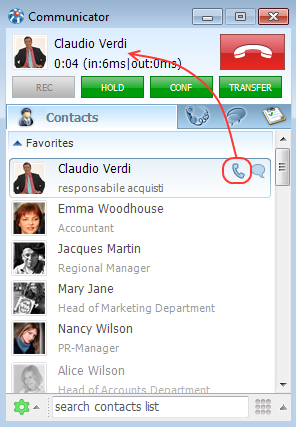 To call a colleague, just hover your mouse over his/her photo or a name and click the "Call" pop-up button. That is as convenient, safe and free, as sending and getting messages via Chat. The only things users need for a comfortable voice communication are speakers/headset or a USB-phone, as in Skype. IP telephony provider must be specified for receiving and making external calls in TeamWox telephony settings. 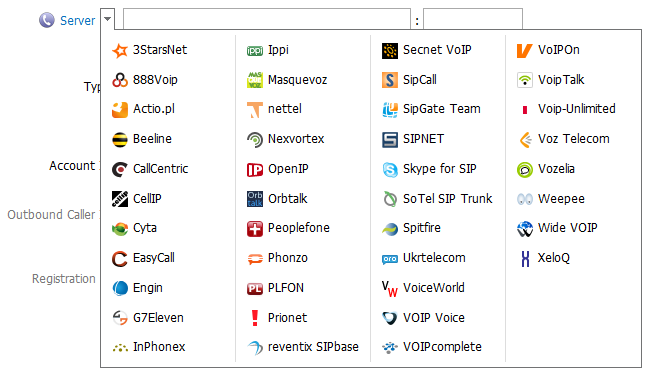 You can connect to your current telephony provider or select a new one from the list (iBasis, InPhonex, Skype Connect etc.). Virtually any VoIP services vendor can be connected to TeamWox telephony thanks to SIP protocol support and G711 ulaw/alaw codecs. You can also work via several telephony providers, if required. In some cases that helps to optimize the cost of local and long distance/international calls and minimize the risks of communication failure. After a VoIP telephony provider has been connected to TeamWox, you can configure the rules for incoming/outgoing calls, add an interactive voice menu and enable intelligent call forwarding. These are the optional telephony capabilities and they may not be used in small companies. Nevertheless, we recommend that you implement these functions. They will simplify and expedite the calls processing. As a result, the productivity of your employees will increase and you will impress your clients with excellent work arrangement at your office. Besides, your remote employees will be able to receive calls forwarded to them and always be in touch. In addition to the standard set of telephone functions, another useful feature has been implemented in TeamWox. Secure audioconferences with an unlimited number of participants can be carried out via the Telephony module. Both internal system users and remote employees can be connected to the conference via a stationary/mobile phone number. This is a very useful feature, for example, for joint decision making with colleagues from different offices. Needless to say, that you can save on travel costs and working time in that case. TeamWox telephony provides the minimum cost of phone calls and safe communication at the highest level. Since IP PBX TeamWox works via the IP telephony, you get all the benefits of this technology. Firstly, IP telephony will provide you with low-cost external calls and a wide range of VoIP-services from any telephony provider. In this case the cost of internal calls will be reduced to zero and the cost of external ones will be minimized. Secondly, the cost of communication infrastructure will be significantly reduced, as all that is necessary for the voice communication is the Internet access (via port 443 and https protocol). In other words, you can simply log in TeamWox system to get all the possibilities of the corporate telephony. Thirdly, you simplify the corporate communication and get considerable financial benefit, as you do not have to configure telephony for each user and arrange the network for each work place. You will not face any expenses for additional software, telecommunications equipment or rental of telephone lines. With TeamWox telephony you can quickly adapt to changing business processes and provide employees with secure voice communications, regardless of their location. Managing corporate IP telephony via TeamWox will provide your business with additional benefits. You will not have to pay for a server license and a license for each employee. And the cost of installation, configuration and training users to work with TeamWox telephony will be minimal. It should be noted that in addition to telephony TeamWox system contains other modules for business automation. For example, collaboration system tools (Groupware) and customer relationship management (CRM). They can improve and expedite the process of rendering services to your customers. Besides, the current functionality of the Telephony module (IP PBX) is only a starting point in the development of TeamWox voice communications. We will gradually expand the capabilities of corporate communications in line with global trends in telephony. The key points of the development are the deep integration of TeamWox telephony with other system modules and implementation of your wishes. Use TeamWox collaboration software for fast and easy automation of the corporate voice communication. With web-based IP PBX TeamWox System you will be able to arrange your own secure PBX. This will help to speed up internal communications, improve interaction with customers and increase staff productivity. 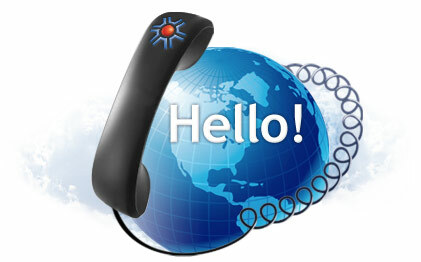 Besides, the Telephony module is available free of charge to the users of any TeamWox system version. It is available both to SaaS subscribers, and the companies having trial TeamWox license. Get a free SaaS (Online, Cloud, Hosted, Virtual) version of TeamWox with VoIP PBX for 2 months and evaluate the new possibilities right now! Buy TeamWox SaaS Business Management Solution with IP PBX Phone System! What Is Software as a Service (SaaS) and What Are Its Advantages?